One of the most important pieces of information I obtain for ANY vacation is,how I will get my STARBUCKS . I must have my coffee. I like it strong and black. I hate waiting in line behind the half/caf skinny blah blah blah. If you can’t take the heat get out of the kitchen as they say. Next I do a search in the area I am staying to see where the nearest Starbucks is located. On occasion,there will not be any. I have a fix for that. I always bring a bag of French Roast with me and include an assortment of different filters to fit any machine the Hotel has available. I have suggested to Starbucks offering a passport to fill showing all the Starbucks you have visited. I use my Gold Rewards card but it only gets me the occasional free coffee and then only if the location participates and is not independently owned. I would like people to know that I have visited Starbucks from Seattle to The Bahamas and beyond. In the unlikely event there are no Starbucks or available coffee brewers, I check the local hangouts for the good stuff. I have found great coffee in Alaska in a few places. And in Jamaica luckily the first thing I smelled when we stepped off the ship was the coffee. Being a connoisseur of all things coffee, I have previously tried coffee from all over the world and usually know what to look for. When I have run out of all these options I just go for the double esspresso. Getting there is always a challenge. This was my second tri p to Seattle. 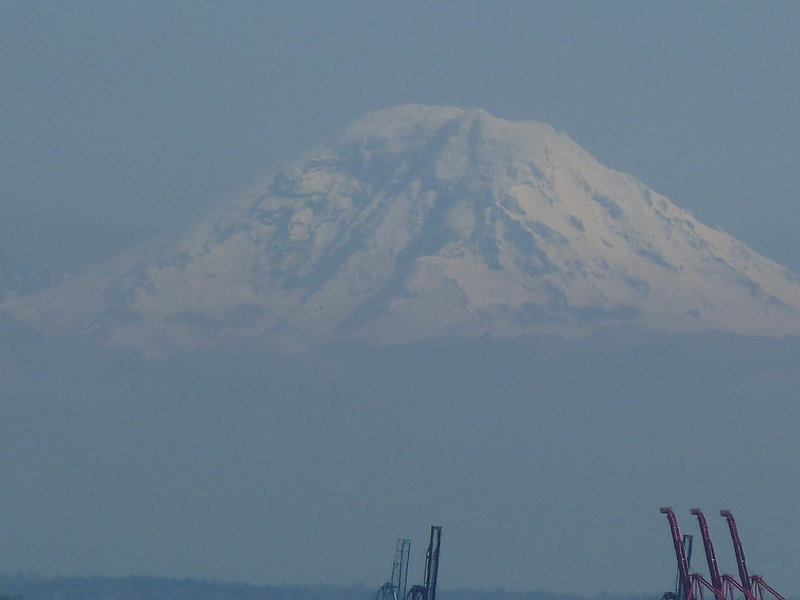 Even though I am from a small rural community there is just something I love about Seattle. The people around me think I am nuts. I was born too late to be a hippie and too early to be a goth. The Airport is over an hour away from home so I always book a room at my favorite hotel, the parking is free as long as you are a guest and they drive you to the airport and pick you up. It doesn’t cost much more than you pay for Airport parking. Knowledge is power it is true. Read your airlines baggage restrictions and carry on policy. Even if you use one of those airlines with FEES you are usually allowed 2 carry on bags per person. This is one small suitcase (they provide the dimensions) and a personal item such as a purse for a lady or a back pack for a man. Make use of this free space but be sure you know the rules, including what you can carry in them. I am always amazed at how clueless people are. When it says 3 oz or less they mean it. No you cannot bring a 16oz bottle of shampoo just because it is unopened and it cost you $ 29.99. If you are checking several bags I strongly suggest you split up your belongings equally between the bags. Have a complete change of clothes in each, then if one of your bags gets lost (does that really happen?) you will not be stuck with a bag full of shirts and socks while your pants and underwear are still flying the friendly skies. On some occasions I have decided against a large carry on for fear it will slow me down if I have connecting flights with little time in between. In this case I still carry at least a change of socks and underwear in my purse. Most hotels can get you a toothbrush and razor, one more day in your jeans won’t hurt you. I also like to put as much as possible in very large zip lock bags because during heavy rain and snow the suitcases can get very wet. Also if TSA picks your bags to search, you are less likely to lose things. I always save the nice clear zipper bags my sheets and blankets come in they work great. I put my zip code and post office box number in permanent marker on the bags as well. When you claim your baggage at the carousel if you notice any damage you must report it before you leave if you want the airlines to replace your bag. They will fill out a report and then you can follow up when you get home.